The Less-Taken Path | 2012 Folk Fest Guide | Style Weekly - Richmond, VA local news, arts, and events. 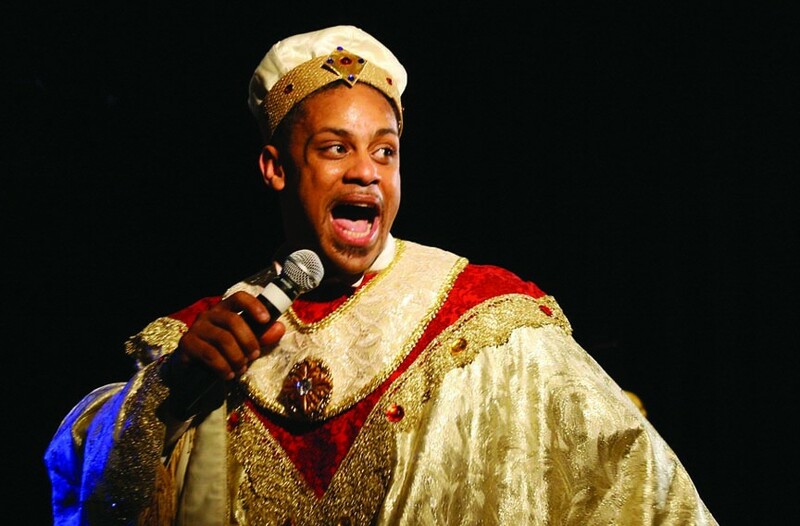 He's known as the Prince of Kosher Gospel. Alhough Joshua Nelson, an African-American Jewish man from South Orange, N.J., doesn't like labels much, he's jokingly referred to himself as "the KKK's worst nightmare." When you hear him sing, you won't care about labels either. Nelson sounds eerily like the legendary, big-voiced gospel singer Mahalia Jackson as he bounces at the piano, belting out deeply joyful songs that alternate between Hebrew and English lyrics. That's why fans as wide-ranging as Oprah Winfrey and Cissy Houston (Whitney's mom) love him. "I asked the Folk Festival for ur-shers," Nelson says, before breaking into a wildly infectious laugh. "You know why. They gotta pick people up off the floor!" Joking aside, Nelson's genre-bending message is one of peace and understanding. He pushes his Jewish audiences to explore their cultural music in a different context while attempting to preserve the genuine African folk art of gospel music. "Gospel is ethnic music, it is not religious music," Nelson says, noting that its roots were present before slaves ever heard of Jesus or European harmonies. "Today, there is a dying folk tradition in the African-American community," he says — "it's sad." A self-taught preservationist, Nelson's been studying the iconic Jackson's music since he was 8, all while growing up kosher. Though he regularly tours the world and has taught the past 20 years at a Hebrew school in Jersey, Nelson says his greatest achievement was recently caring for his grandmother in the final years of her life. "Everything from my Judaism to my African roots, I put into practice," he says. "Really, I just want to inspire people to care about their families and to see our human similarities, not differences. I want my life to be a living testimony." While the Fresh Prince of South Orange will exhaust you with his charm and uplifting music, Iraqi ex-pat Rahim AlHaj pulls you in through sadness and his mastery of a meditative instrument: the ancient oud, ancestor of the lute and guitar. A prodigy since his Baghdad childhood, AlHaj was tortured in an Iraqi prison for refusing to write music praising Saddam Hussein. In 2000 he was granted asylum and relocated to Albuquerque, N.M., where he's become an U.S. citizen. AlHaj built a music career from scratch that includes two Grammy nominations and performances with American artists such as guitarist Bill Frisell and pop stars R.E.M. "I try to be a voice for women and children in Iraq particularly, to express their stories," AlHaj says. "Stories you don't hear on TV. ... We lost two million children thanks to sanctions over the years." He hopes to combat the negative media cliché of angry Arab fundamentalists representing the Muslim world. "Religion should unite us, not divide us. Jewish, Muslim, Christian, it's the same root," he says. 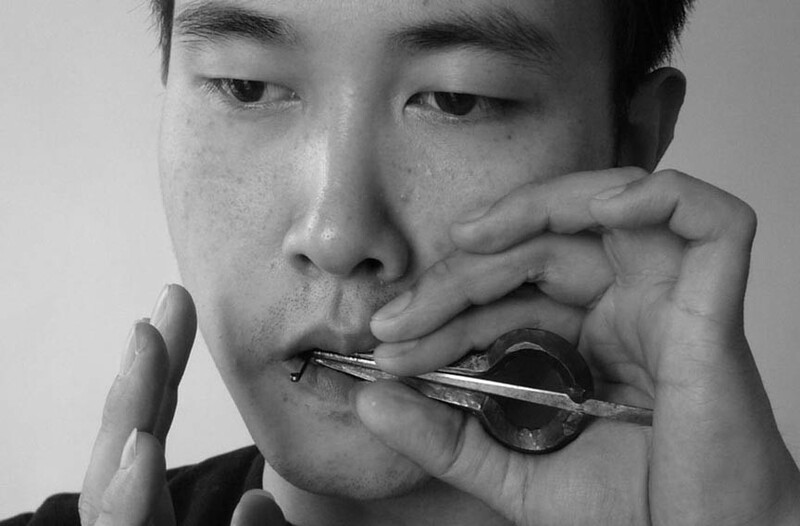 Wang Li, from Qingdao in northeastern China, has mastered some of the world's oldest instruments: the jaw harp and the calabash flute. Through his circular breathing and throat singing, Li can produce a mesmerizing world of visionary soundscapes. The music is primitive and avant-garde, evoking intense emotion. A reviewer once called him "a sort of human Moog synthesizer." It's head-expanding stuff you hardly ever hear, much less see performed. Another amazing group to check out is Fendika, members of which you may have seen here with Boston's Debo Band when they played Balliceaux. 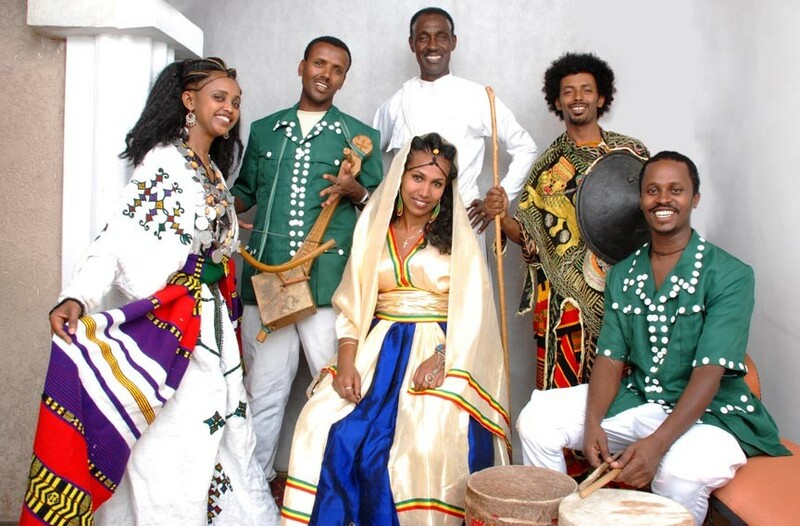 The music and dance group brings traditional Azmari music from Ethiopia, a rootsy, folkie-string music accompanied with trancelike singing, fiddle, chants and claps with a unique rhythmic virtuosity on display. The improvisational group got its name from an Addis Ababa nightclub run by remarkable dancer Melaku Belay, who will join a dance demonstration at 2 p.m. Saturday. "Kind of a shaking party, jumping-style," says Seleshe Damassae, who plays a krar, a six-stringed lyre. "We will get the audience to sing and have fun with us."